France’s president urged the Syrian opposition movement on Monday to create a provisional government and vowed to extend official recognition once it was formed. 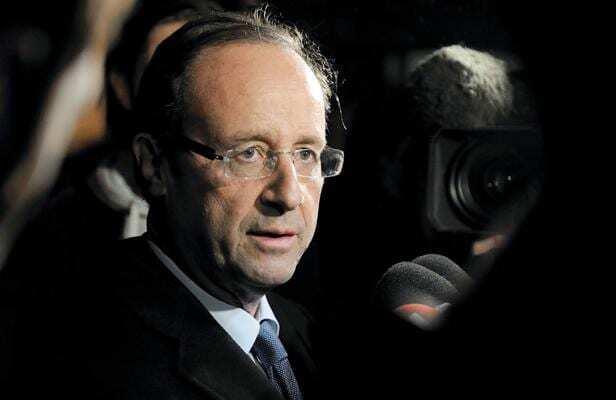 The statement by the French president, François Hollande, represented the furthest any Western leader had gone in pressuring the embattled government of President Bashar al-Assad of Syria. While the United States, Britain and other Western countries have called on Mr. Assad to resign and have supported the opposition with nonlethal aid, they have not explicitly stated they would recognize a provisional government formed by Mr. Assad’s array of political enemies. Mr. Hollande’s statement, made during an annual speech to French diplomats in Paris, came as new violence convulsed Syria, including the possible rebel destruction of a Syrian helicopter gunship and further signs of a rush to the borders by thousands of people seeking safe haven from the 18-month-old conflict. This entry was posted on August 27th 2012 at 6:56pm/18:56 and is filed under Live News Column 1, World News. You can follow any responses to this entry through the RSS 2.0 feed.